By the end of the summer, the revolt had faltered. The anti-Islam party of Geert Wilders had failed to break through in Holland, and although right-winger Marine Le Pen had done well in the first round of France’s presidential election, she was soundly defeated by neoliberal, centrist Emmanuel Macron in the run-off. The results in Germany were more problematic, when in the September elections the far-right, anti-immigrant Alternative for Germany (AfD) successfully diverted votes from the political center, forcing the Christian Democrats and Social Democrats into months of negotiations to form a new Grand Coalition as a bulwark against the populists. Then last October in Austria the anti-immigrant rhetoric of young conservative leader Sebastian Kurz led him to victory, producing a government based on an alliance with the far-right Freedom Party. Europe’s elites had taken some hits, but overall it seemed that disaster for them had been avoided. Italy, however, would prove to be different. 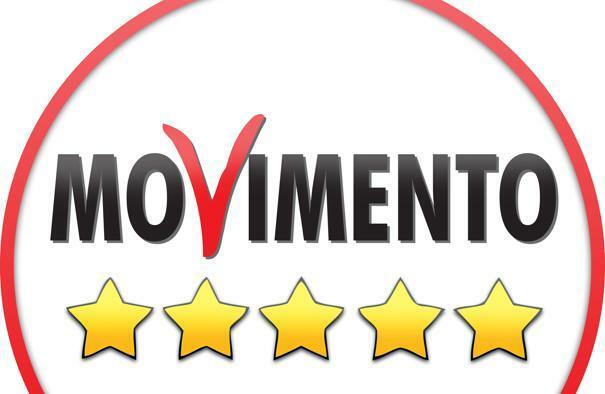 The Five Star Movement (M5S) increased its vote total in March as the top party, coming in at 32%. By itself this wouldn’t have been enough to overcome the establishment’s efforts to keep them out of government, though. Indeed the political parties that have governed Italy in recent years had hatched what they thought was a brilliant plan to block the newcomers: change the election law to reward the coalition with the highest vote total, rather than the single party. That way, even if M5S came in first, the center-right bloc led by Silvio Berlusconi’s Forza Italia could still claim victory, for example; and in the likely event that the coalition didn’t have enough votes to govern, an agreement would be made with the centrist Democratic Party (Pd) for a sort of “Grand Coalition”, not too different from the governments in place in recent years. What upset the apple cart was the success of the League, led by brash young leader Matteo Salvini. Formally known as the pro-secession “Northern League,” the party has succeeded in expanding beyond only the North, still drawing on anti-immigrant sentiment, but combining that with an effective anti-austerity message that allowed it to reach 17% of the vote. That beat Berlusconi’s party by several points. The center-right had gotten the most votes as a coalition (37%) but the internal balance of power had shifted; the best laid plans of the elites quickly came crashing down. This outcome was actually entirely predictable, given the nature of the response by Italian institutions to the results of the country’s last general election, five years ago. In 2013, the Five Star Movement burst onto the scene with 25% of the national vote, despite having refused to even talk to the mass media; everything was done through the web and meet-ups, which proved to be more than enough to catalyze an effective movement against the “caste” of privileged members of the elite, seen as pursuing their own interests, and not those of the people, through various forms of corruption. As time went by, the centrist parties in government deceived themselves into believing that warning people about the lack of experience of the M5S, and branding anyone who criticized the EU as inviting a return to nationalism and war, would scare voters away from the populists. What the governments led by the center-left did not do, however, was considerably change the direction of the economy for the majority of the population. The situation improved slightly as the harshest austerity measures from previous years were abandoned and some limited initiatives were implemented to encourage investment and exports in the manufacturing sector. But the drivers of the revolt against globalization run much deeper, rooted in the long-term destruction of the middle class with increases in poverty and inequality, and less stable working conditions for those who do have work. An increase in short-term employment and promises of better times if the country would just stay the course, was far from enough to stop the anti-system momentum. After two months of back-and-forth, the League ultimately split from its center-right allies in order to avoid the risk of a grand coalition government that would continue the same centrist policies as in the past. They reached a deal with the Five Star Movement and accepted a non-politician close to M5S as prime minister, Giuseppe Conte, who is now tasked with implementing a “government contract” negotiated between the two parties. There are significant differences between the partners, but the most important obstacles seem not to be internal, but rather put in place by Italian and European institutions. M5S and the League quickly came to agreement on general issues such as deficit spending for welfare reform (to significantly expand social benefits, not cut them as in recent years) and simplification of the tax code. The contract also includes the key points of separating commercial banks from investment banks (the Glass-Steagall principle) and using public institutions for targeted investment. Neither Luigi Di Maio, the 31-year old Five Star leader, nor Salvini seem cowed by threats from EU officials or pressure from the financial markets regarding the need to follow strict budget rules. In response to a recent objection claiming his proposals would break the public accounts, Di Maio claimed that when done right, the multiplier effect of public investment would boost, rather than hurt the economy. Yet the establishment is doing everything it can to avoid an open clash with the EU. Like many countries with a parliamentary system, Italy has a “President of the Republic,” a figure-head intended as a guarantor of the institutions without a direct political role. The position is similar to that of a constitutional monarch, but in a republican system. Despite often being viewed as merely a figurehead, the Italian state president formally has the power to choose the head of the government, and also the cabinet. In this case, President Sergio Mattarella seems to be taking those responsibilities fairly seriously. There is great pressure on the Italian elites to ensure that the coming populist government will not be able to call into question the architecture of the EU by openly challenging the budget orthodoxy of the European Commission in Brussels, and the European Central Bank in Frankfurt. Thus Mattarella’s office made its opposition known to certain figures proposed by M5S and the League. This happened with one of the first names floated for prime minister, Giulio Sapelli, a professor of economic history who is strongly critical of globalization and EU economic policy. But his prospects were quickly shot down through a series of leaks to an obliging press. 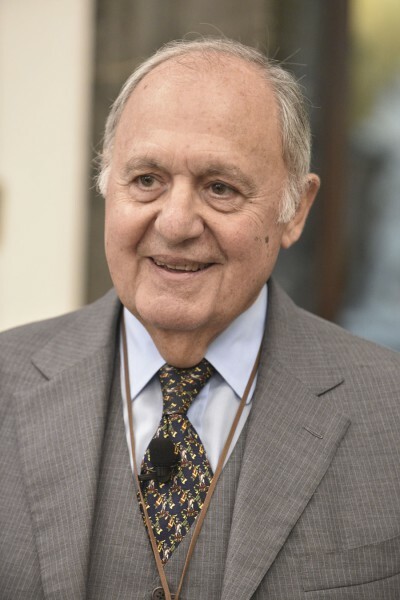 Another name which has sparked opposition is that of Paolo Savona, a highly-credentialed economist who was minister of industry twenty-five years ago. Since then, he has become critical of the European single currency and the related spending constraints. Thus, despite clearly being qualified, when his name was suggested for the post of finance minister, objections immediately began to appear in the establishment media. Di Maio and Salvini seem to be sticking to their guns on Savona, but it remains to be seen if they will succeed in obtaining his nomination. The situation raises serious questions about democracy in Italy. Well over 50% of Italian voters supported parties that strongly criticize the neoliberal policies of the EU; yet there is a concerted institutional effort to not allow someone who reflects precisely that view to guide the country’s economic policy. This conflict is even more ironic because the insistence on EU principles comes from institutions which are supposed to be guarantors of the Italian state. Their view, however, is now that Italy is irreversibly part of the European Union, and any threat to lessen the bonds of integration would be unacceptable. Add to this the fact that over the years the EU has done everything it can to avoid having European citizens actually vote on the construction of the supranational government, and the paradox becomes clear: state institutions are defending Europe against the democratic choices of their own people. There are certainly risks inherent in the coming populist government. The League wants to take a hard line on immigration, and has often curried favor with racists and xenophobes. This has been part of its identity from the start, although it has gradually worked to expand its appeal by focusing on the broader issue of problems with globalization and Europe. M5S, on the other hand, is inconsistent and in recent months has seemed malleable even on important points in its program, in both economics and foreign policy. Di Maio quickly backtracked from his criticism of Trump’s bombing of Syria, for example, fearing it could damage his prospects to lead the government. Furthermore, the M5S campaign against wasteful spending goes so far as aiming to stop important infrastructure projects like a new high-speed rail line between Italy and France; while its environmentalist bent is expressed in the desire to shutter the second largest steel production center in Europe, the Ilva plant in Taranto, due to environmental problems. These issues and others provide plenty of legitimate grounds for criticism of the anti-establishment parties, and raise the question as to whether they will actually succeed in improving people’s lives. Yet there is no question that the voters have asked for change, and that change means abandoning the pro-austerity policies that are hollowing out the middle class and making people fear for their families’ future. Despite the populist wave that has spread across the Western world in the past two years, European leaders in pursuit of their own interests have generally seemed to ignore the need to recognize the errors of the pro-finance, post-industrial model of recent decades, clinging to the hope that their neoliberal system will ultimately survive despite discontent from a significant portion of the population. The Italian elections have changed the calculus. Regardless of how effective the new government is, European institutions need to recognize that certain problems cannot be ignored. The only way for the elites to survive – to the extent they still can – will be to finally accept that their errors can longer be defended.